Although we've seen some recent progress in dental coverage for children and pregnant women, it remains a challenge to connect them with the oral health services they need to stay healthy. This week, five new states were announced as grant recipients of the Perinatal & Infant Oral Health Quality Improvement (PIOHQI) initiative. 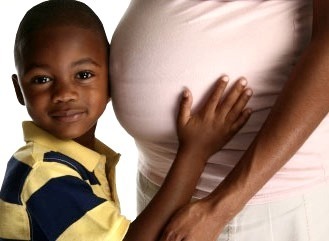 This project is funded by the U.S. Health Resources and Services Administration (HRSA), and these states will join a National Learning Network that is setting goals for connecting pregnant women and infants with dental care. Through a cooperative agreement with HRSA, the Children’s Dental Health Project (CDHP) leads the PIOHQI National Learning Network along with its national partners: the Association of Maternal and Child Health Programs, the National Academy for State Health Policy, and the Association of State & Territorial Dental Directors. Since 2014, the National Learning Network has worked closely to develop specific goals toward perinatal oral health and implement a quality improvement strategy to achieve these goals. For more details on the HRSA award, the existing grantees, or the specific grantees in these 5 new states, read our press release. Only 42% of women know that it’s safe to receive routine dental services during pregnancy. The importance of the PIOHQI initiative is reflected by a variety of data, including a 2015 national survey which revealed that only 42% of women know that it’s safe to receive routine dental services during pregnancy. This is an exciting time to have five more diverse states join the Learning Network. Having more state grantees to learn and share ideas and insights with one another allows for all of us who are immersed in this issue to work together to improve oral health care for pregnant women and infants.